I’ve always loved poetry, so with great excitement I dove into my review of Working it out: Poetry Analysis with George Herbert, from Everyday Education, LLC. 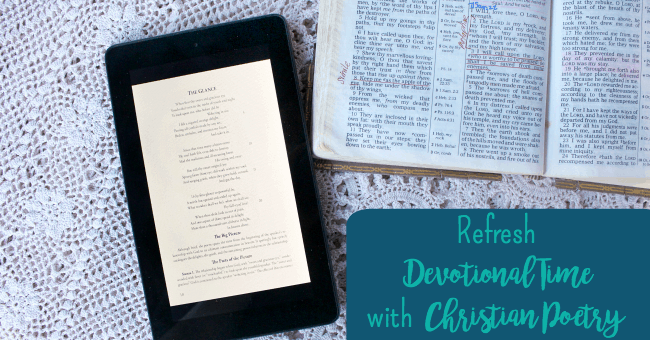 I’ve had a wonderful month, refreshing my devotional time with Christian poetry. I first “met” the priest-poet George Herbert in college, since as a creative writing major, I also studied a lot of English literature. I remember Herbert as being one of my favorite poets to study because of the intensely personal experiences with God he shared through verse. A 17th century poet, Herbert wrote privately, his poetry only published after his death. His poems were favorites with C. S. Lewis, and much praised by authors Samuel Taylor Coleridge and T. S. Eliot. Herbert’s metaphysical poems translate spiritual thoughts into vivid visual language, giving the reader fresh insights about forming a spiritual relationship with God. Working it out: Poetry Analysis with George Herbert is intended to be a devotional book, but it’s also a great study on how to read and understand poetry. If you’re concerned that poetry isn’t your thing, or about the elevated or archaic language of the poetry, never fear, because the author handles all that for you in his play-by-play of each part of the poem! A poem from Herbert – 51 poems are detailed in this book, so you could spend a year studying the Bible with George Herbert! Reflections – Questions about the poem and for devotional thought. The chapter patterns make this book easy to follow. The Scriptures for Further Reflection piece have the most impact for devotional study. Reading the same passages Herbert read leading to his passionate poetry has an inspiring and meditative effect! I appreciate the simplicity of reading chapters and meditating on verses. But sometimes I like to change up my devotional time to stretch my spiritual growth. Like the year I spent reading through the Bible by genre instead of in Biblical order. Changing the pattern of my reading revealed so many fresh connections that year! I loaded the PDF file onto my Kindle for easier reading / portability. For the review period, I tried to read 2-3 poems a week, although that was a little time-consuming for me, so I will go to once on weekends for this study. Using the Working it out book as a devotional had a similar effect. The poems of George Herbert are a peek into this devout man’s quiet time with his God. His poems, written as prayers to God, are personal. Intimate, even. I felt like I’d entered a small stone chapel or a country pasture and overheared a man in earnest prayer. Herbert pours out his thoughts, feelings, and questions about grief, relationship with God, letting go, depending on God, and so many more concerns Christians today still deal with. His words continue to resonate with universal understanding of the human condition. Only, with a twist: the human condition in relationship with God. In the section Looking Back, Moving Forward, four poems share Herbert looking back at life to understand how to “move forward with greater spiritual insight.” Couldn’t we all benefit from the ability to do that? In Letting Go, Herbert explores how Christians go through processes to surrender to God and find our rest in Christ alone. What powerful messages! How can I not be moved by such devotion? This man’s personal testimonies speak across the pages and centuries right into my own quiet time. It’s both humbling and inspiring. Much like listening to a prayer, it put me into a reflective frame of mind, ready to see what God had for me in the suggested passages. As Herbert’s poetry and imagery stirred my heart over the wonder of relating more closely to God, the selected verses just seemed to pop open like ripe fruit. Verses that if reading chronologically or by genre would be spread far apart over the months, now read together held unified meaning. Herbert’s ability to delve deeply and richly into spiritual thoughts modeled for me how to do the same. It’s like doing a word study, only you’re doing more of a concept study. What an impact this is having on my Bible reading time! This blending of beautiful spiritual poetry with guiding devotional verses and questions brought me such joy. It’s like all my passions coming together in the same place! While completing each chapter was definitely more time-consuming than my usual Bible time, the payoff was so much richer! 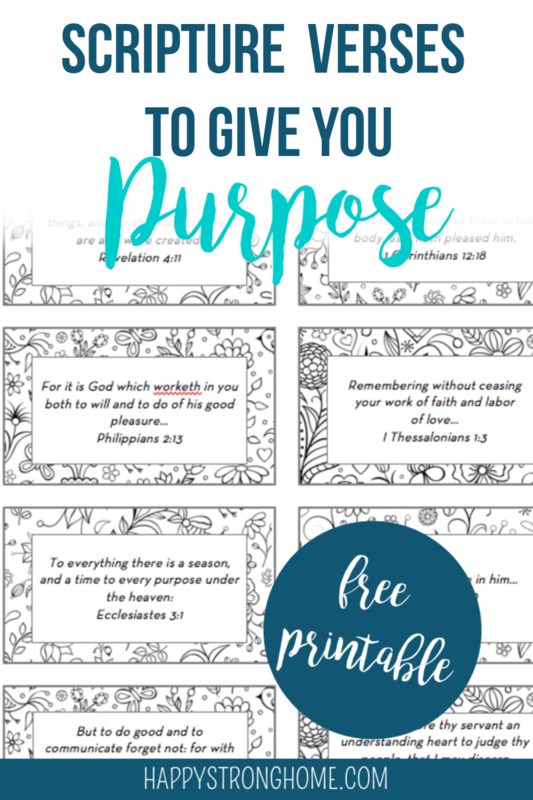 I would love to see more devotional guides like this one. Janice Campbell, editor of Everyday Education, LLC, shares articles and publications to help homeschool parents educate their kids in high school and even college. Working It Out is actually a manuscript she rescued from going out of print when the author retired from teaching! Am I ever glad! To read more reviews about the Working It Out devotional or other Everyday Education products, click here! Are these health care plan mistakes costing you money? 3 Ways to be Healthy from the Inside Out! This sounds like a wonderful thing to add to my reading collection. I love reading prayers and seeing how they connect and open themselves up to God. It is so encouraging. I’ll have to check this out. I love this. I have never considered incorporating poetry into my quiet time. However, we do incorporate poetry into our home-school morning time so I will have to look into this book. Thanks for sharing. I love devotionals. I enjoy C. S. Lewis and T. S. Eliot’s work so I have no clue how I have never heard of him. Thanks for sharing.